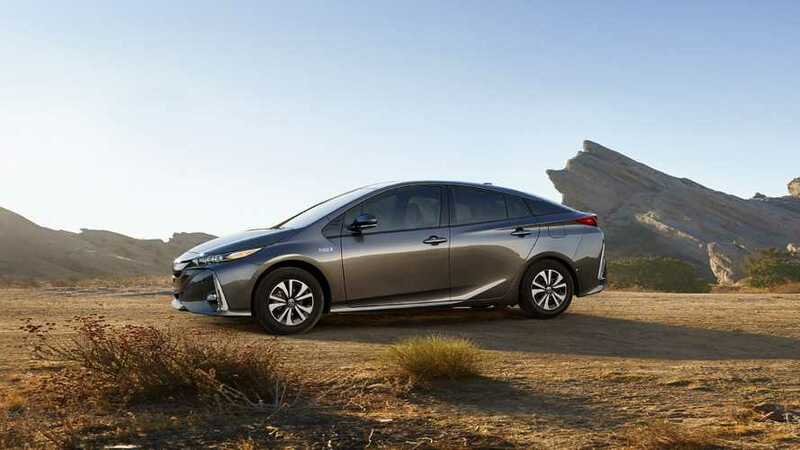 The 781 Toyota Prius Prime delivered in the plug-in hybrid's first partial month of availability in U.S. shows us that the 2nd generation of plug-in Prius is going to be a major player in the EV market - not only in America, but around the world. Toyota open's the second chapter of the PHEV's history with a much stronger offering. For 2017, the Prime is re-designed and uniquely styled to differentiate it from the standard hybrid Prius, and it can also now travel some 25 miles on electricity before the petrol engine kicks in (via a 8.8 kWh battery) - more than double the older model. But even more significantly, the new Prius Prime is priced $1,000 less expensive (after the federal credit is applied) than the base hybrid Prius offering. The Prime starts at $27,950, but is eligible for a $4,500 credit, bringing the effective price down to $23,450, making the Prime the 4th least expensive plug-in offering in of the ~30 different models available heading into 2017 for the US. Every indication from Toyota thus far is that the plug-in version of the Prius will be the new flag bearer for the company's halo brand...and will ultimately take over the reins from the standard hybrid. Meaning the company won't be happy with selling just 500, or 1,000...or even 2,000 copies a month in America. And to do that, to push the Prime to sales levels unseen by any EV before, we look for the company to promote the plug-in like no other EV has ever before - like a mainstream offering. So, look for Toyota Prius Prime ad spots to pop up during national television shows and sporting events near you. To get things started, here are three freshly released videos promoting the Prius Prime's launch. The look of Prius Prime has become very advanced and emotional as a leading model of Prius family. Experience "never before" Waku-doki driving with outstanding EV driving performance!